Come see us in Allentown! We will be at the Heirloom Stamp and Paper Arts Show in Allentown PA this weekend, and we want you to come play with us! Use the coupon below for your choice of one free stamp with purchase over $35.00! 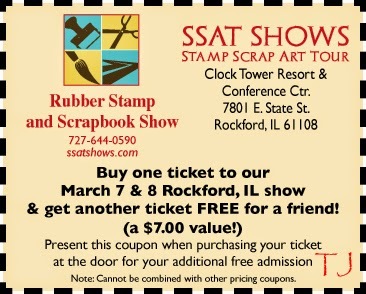 We will be Demonstrating Peerless Watercolors, and we have a great Make and Take using Art Anthology products and Technique Junkies Stamps! Come play with us! 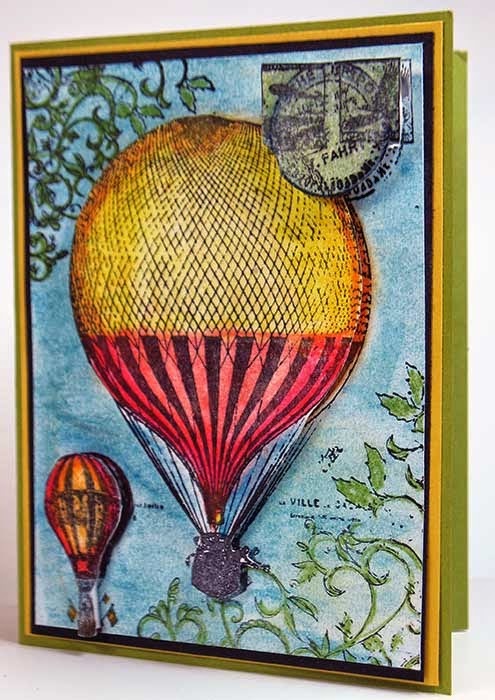 Today's card uses the Palettini Vintage Balloon Collage stamp from Technique Junkies with the Frosted Dylusions Technique. The full Frosted Dylusions Tutorial in on the Shimmer, Glimmer, Sparkle and Shine CD ($14.95, Technique Junkies). Love how this turned out! Are you getting the TJ Inkspirations email? Every Friday I send an email with tips, techniques, tutorials and ideas. It's free! If you are not receiving it, send me an email (phuntoon@optonline.net) with your current email address and I will add you to the list. 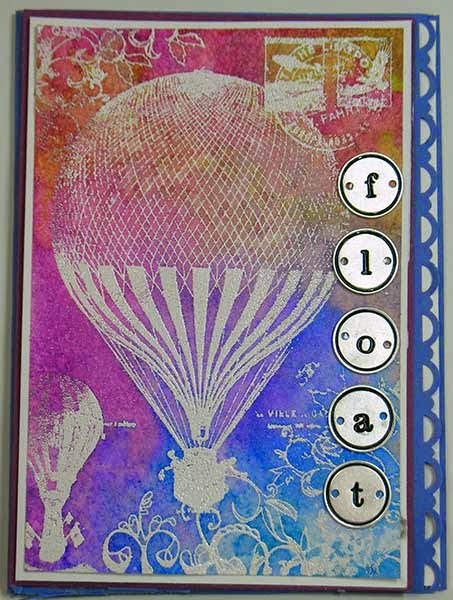 This week I show how to use Collage stamps creatively, using the same stamp 4 ways. Over the next few days, watch this blog for the 4 cards I made using the tutorials (the thumbnails were pretty small in the email). Today I am showing the Deconstructed Collage Card (From the Simple and Easy Inking CD). Details for making this card are on the email HERE. All of the TJ Palettini Collage Stamps are on sale this week for 10% off, too. They are HERE. Get your collage on! Ever wonder how rubber stamps are made? We created a short video so that you can see the process! This was included in my weekly inspirational email -- are you receiving it? If not, email me at phuntoon@optonline.net -- you are missing videos like this, tutorials, tips and discounts -- all free and in your mailbox on Friday mornings. Email me today to get on the list!